21/11/2017. 1835. 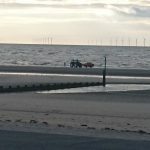 The ILB crew were paged to assist North Wales Police with an incident concerning a male in the water at Rhyl west promenade. 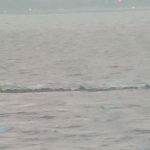 As the crew were assembling, UK coastguard at Holyhead were informed by police that the incident was resolved, and the lifeboat was not required. Classed as standby. Stood down at 1844. 21/11/2017. 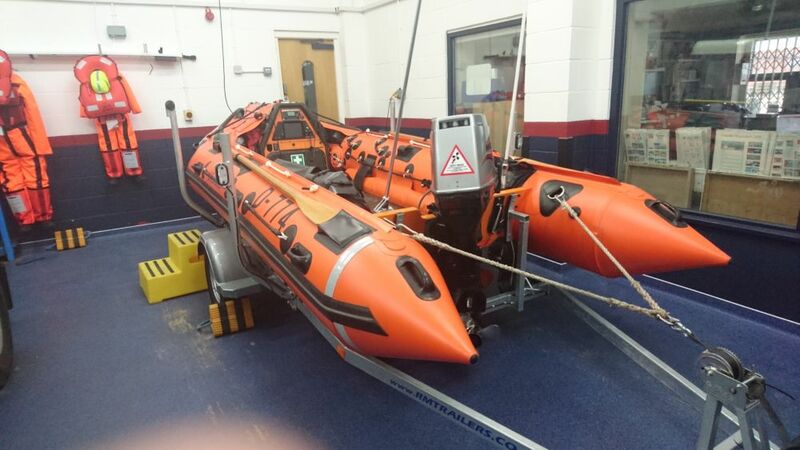 Our station ILB D-770 “Mary Maxwell” returned to station after refit. D-774 returned to the relief fleet. 14/11/2017. 1555. 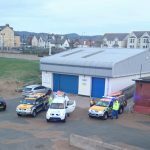 The UK coastguard at Holyhead received a 999 call regarding two people and a small dog, trapped in the mud up to their waists, to the East of the revetment wall marking Rhyl harbour entrance. 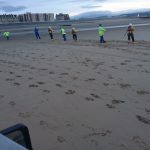 The Coastguard initially called out Rhyl and Flint mud-rescue Coastguard teams to perform a rescue by mud sled and wading team. The tide was rapidly coming in and threatened to overcome the people in the mud. 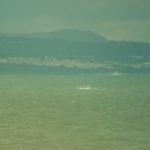 One person was found by the coastguards to be up to their knees, but the other was up to their waist and unable to move. The coastguard officer on scene asked for the ILB to stand by nearby. The crew mustered and the ILB was taken on the beach to assist the coastguards with the recovery. The coastguard team successfully freed the two people, just as the tide came up to them, and managed to pull the two back to hard sand. As the people had been in the mud for nearly 30 minutes, the Coastguard-in-charge on scene asked the lifeboat crew to ferry the two people back up the beach to the lifeboat station, where an ambulance crew checked them over. 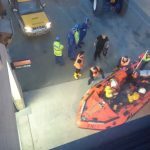 Both persons were shaken up after their ordeal, but recovered once they were in the warmth of the lifeboat station. 26/10/2017. 1342. 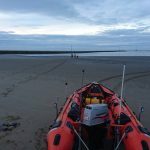 The ILB crew were paged after UK coastguard at Holyhead received numerous 999 calls from the public on shore about 2 persons in an inflatable off Kinmel Bay, waving their arms. The ILB launched and was on scene at Golden Sands camp within 10 minutes. The crew found the 2 were happily fishing and were fine. This is the 5th time the crew had been called to this dinghy, a 2m long inflatable with the men sitting on the sponsons (sides) of the boat. More advice was given and the ILB left as all was well. Soon after, the men returned to the beach. It is advisable to call the coastguard when you venture to sea, but these men apparently disregarded any previous advice. The ILB returned to station at 1415. 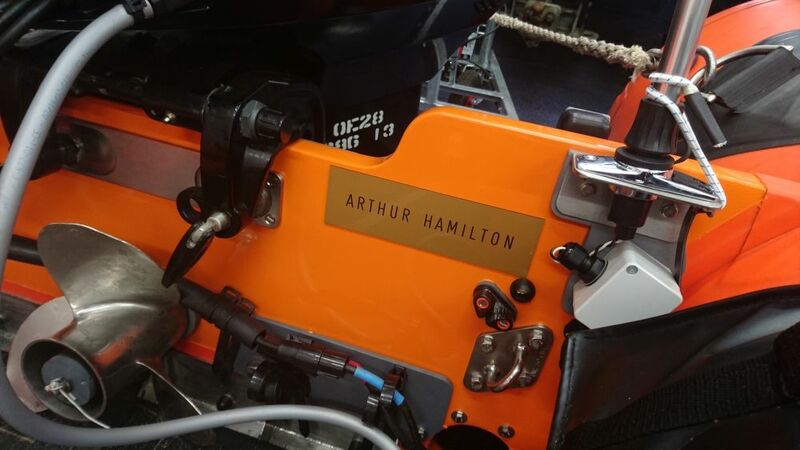 On 25th October 2017, our station IB1 D-770 “Mary Maxwell” was taken away for it’s scheduled refit to Cowes base, replaced by D-774 “Arthur Hamilton”. The RM trailer was also replaced by the new RM lightweight launch trailer TR-T1730. 25/9/2017.1022. A crew member at the boathouse noticed a male, fully clothed, entering the sea just off the boathouse, and going in past his chest depth. The pagers were activated, and the ILB launched about 7 minutes later. The crew came up alongside the male who was in a distressed state. After a few minutes of discussion, the man agreed to get into the ILB, and he was recovered back to the station to a waiting ambulance. The ILB was back on station by 1100. 22/9/2017. 1553. First call to a kite surfer off the boathouse who had become detached from their kite. 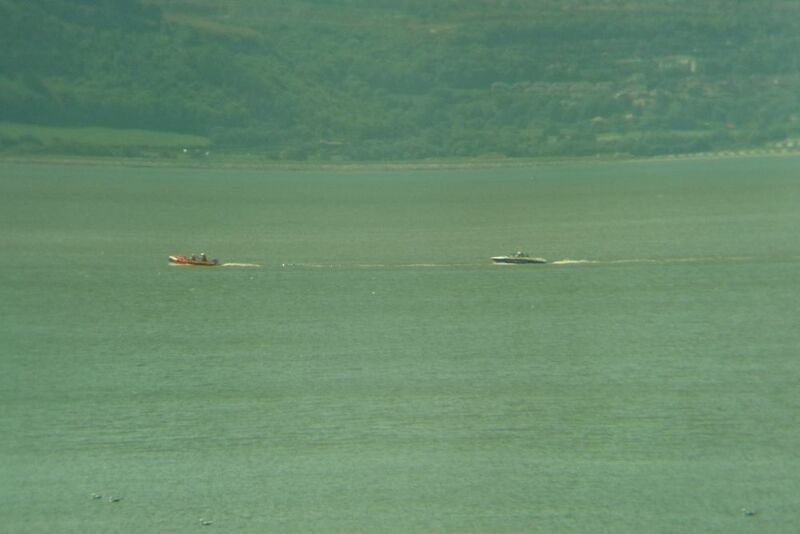 The person had made it back to shore, but the ILB launched as the kite was in the channel to the busy port of Mostyn. The kite was retrieved and the ILB reunited it with it’s owner back on the beach. The ILB returned to station at 1630. ………………….1709. The ILB crew were paged after the UK coastguard at Holyhead received a 999 call from a member of the public regarding a kite surfer and other person apparently in difficulty in the water off the Pavilion theatre. The ILB and crew went down the beach and met up with both who were fine and well and on the shoreline. Classed as standby, stood down at 1726. 18/9/2017. 1912. 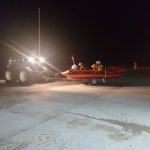 Holyhead Coastguard paged the ILB for an immediate launch after they had received 999 calls about a man, fully clothed, entering the water by the rock groynes marking the entrance to the harbour. 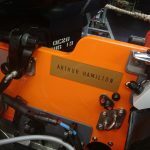 The pagers were activated and the crew launched the lifeboat within five minutes of the pagers sounding, and were on scene about four minutes later. There was some confusion regarding the actual incident, but a small fishing boat called the coastguard on their radio to report the man was on the rocks to the west of the groyne, near to the End Perch, where the river Clwyd runs deeper. Local coastguard volunteers were also alerted to this incident, to search from the shore. The crew arrived on scene just as the man entered the deep fast-flowing water, and disappeared from their view for a moment. Luckily, the man resurfaced, and a crew member entered the water to assist him. The casualty was successfully hauled on to the lifeboat and rushed back to the boathouse, arriving some five minutes later. 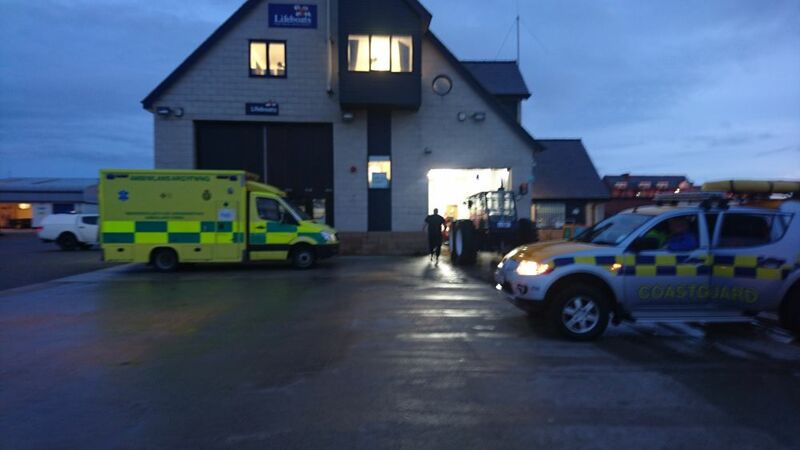 Ambulance personnel and police were at the boathouse to assist the crew and the casualty. The man was given casualty care, and handed over to the ambulance. The boat was made ready for service by 1955. 27/8/2017. 1645. 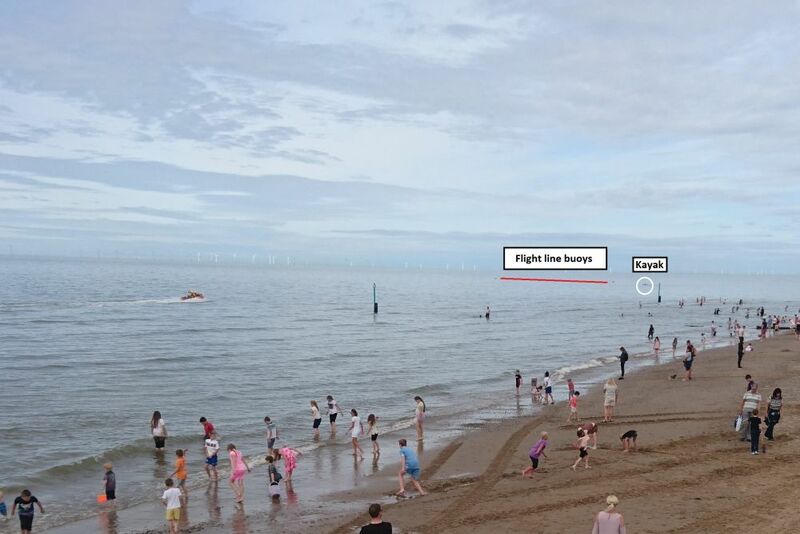 The flight director asked the ILB to launch to warn a small kayak off Rhyl that they were directly in the flight path of the Red Arrows flight line and the show would be stopped unless the kayakers removed themselves. 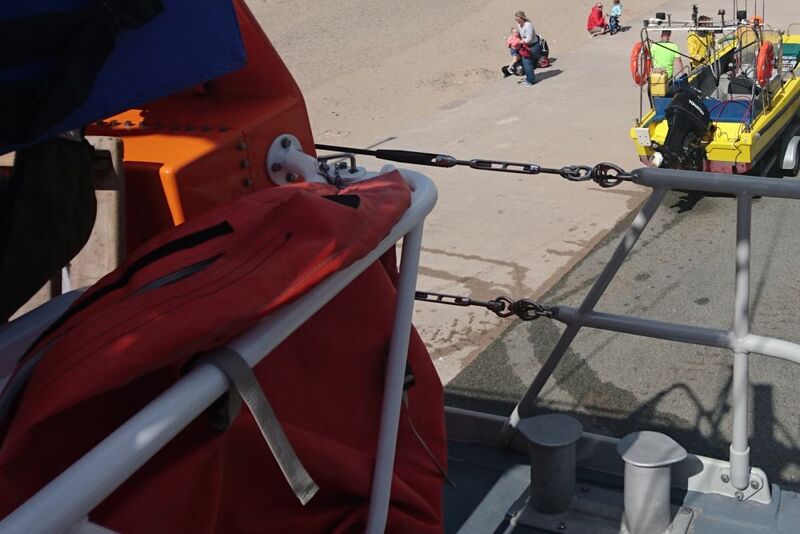 The ILB warned the occupants and escorted them back to the beach. the ILB returned at 1700. 26/8/2017. 1430. 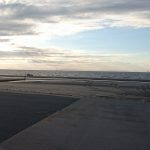 The flight director of the Rhyl Air Show asked if the ILB could launch to warn a small warrior-type motor vessel that they were in the flight path of the planes, and the show could be delayed. The ILB launched and went alongside the boat and asked the skipper if he could move out of the restricted area and further out to sea. 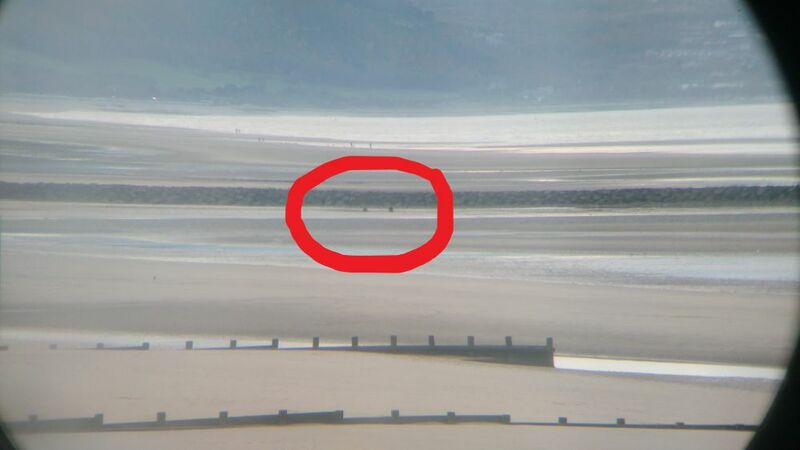 The man then decided it was time to return to his launch site at Prestatyn and moved away. The ILB returned to station at 145020. 24/8/2017. 1610. 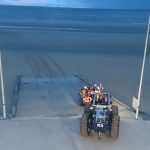 Prestatyn RNLI lifeguards requested the immediate launch of the ILB to assist a lifeguard who had entered the water to recover two young females who had got into difficulty off Prestatyn beach. The Coastguard Rescue Helicopter 936 was also tasked, together with local coastguard teams from Rhyl and Flint. As the ILB got on scene, the lifeguard had successfully got the two girls back on the beach. They were quite poorly, but conscious and breathing. The ILB crew assisted with casualty care and oxygen, as the helicopter landed nearby. An ambulance also arrived on scene, and the services decided it may be prudent to take the girls to hospital in the helicopter as they were cold and still unwell. Once the helicopter departed, all units were free to return to station, the ILB crew returning to Rhyl at 1730. …………………… 1733. 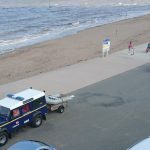 The ILB crew noticed a kite surfer struggling to get upright from their kite offshore from the Pavilion Theatre at Rhyl. The coastguard went to the shore and asked for ILB assistance to recover the surfer. This was done within 5 minutes, and the surfer was then transported back to the point of launch. 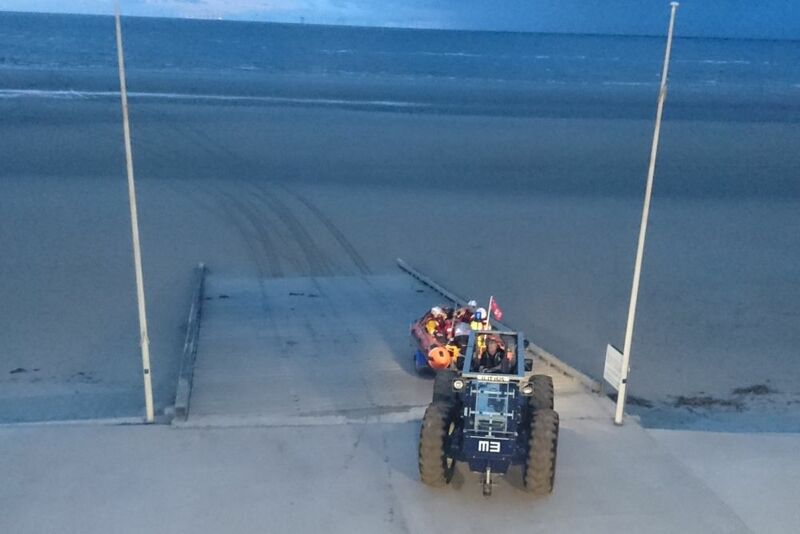 the ILB returned to station by 1835, assisting the local coastguard vehicle through some soft sand. 23/8/2017. 1105. 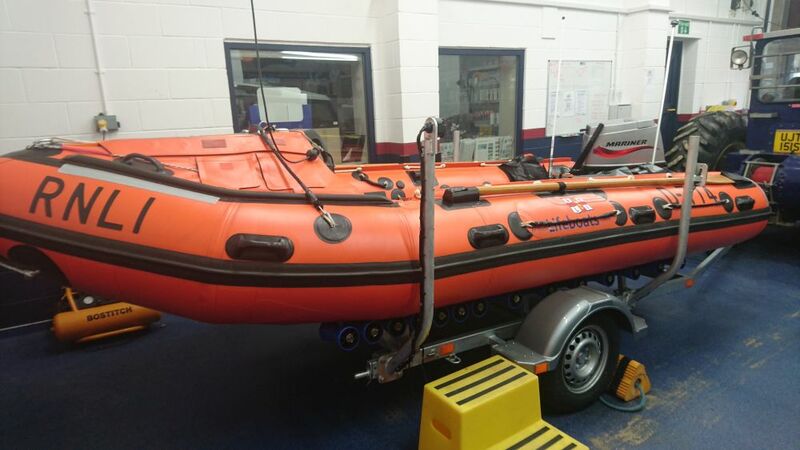 Rhyl RNLI lifeguards requested assistance to recover a small inflatable dinghy which had broken free from a passing yacht about 30 minutes’ previously. There were crew at the station and so they set off in the station’s Land Rover and successfully retrieved the yacht to the station. This was picked up by the harbour master ready for the owner to claim. 17/8/2017.1307. ILB crew paged after lifeguards and the UK coastguard received reports of three swimmers in difficulty to the east of the boathouse. As the crew were assembling, it was reported that all persons were safe and well, and the crew were stood down at 1312. Classed as a standby. 15/8/2017.1410. 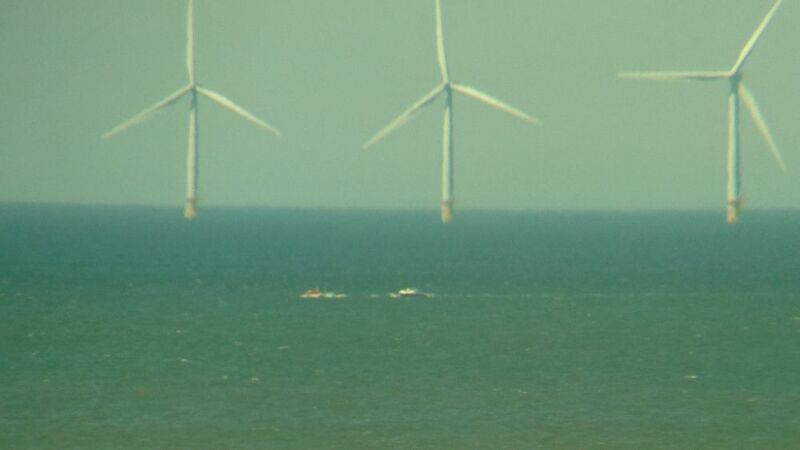 ILB paged for immediate launch, together with RNLI lifeguards and local coastguards, after a report of a young girl in an inflatable, being blown out to sea from Rhyl harbour. 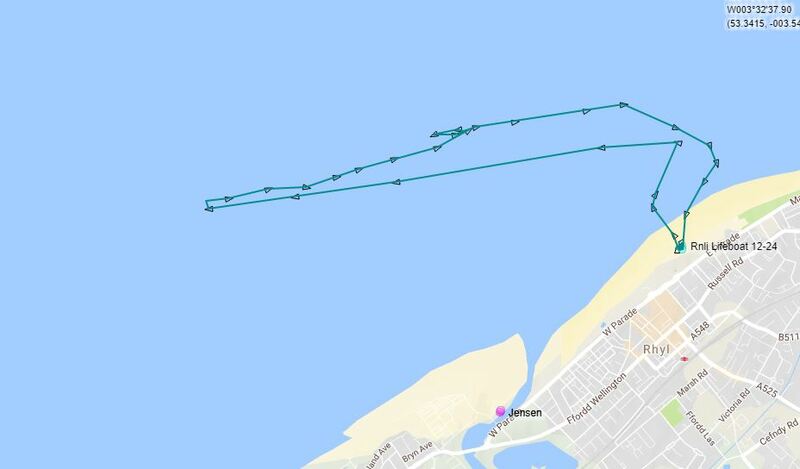 As the crew were just about to launch, the UK coastguard at Holyhead reported the girl had been recovered safely to the beach by persons unknown. The boat was stood down at 1418, classed as a standby. 5/8/2017. 1204. 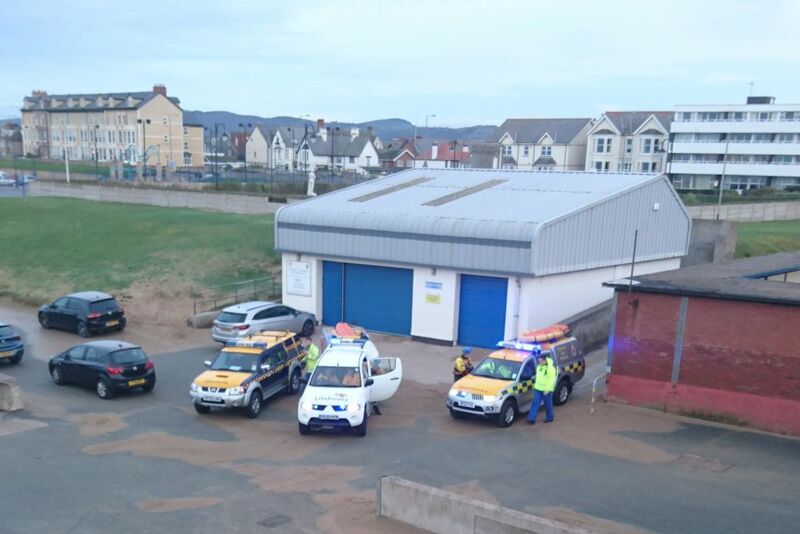 Holyhead coastguard received a 999 call from a member of the public, expressing concern for a small boat with one person in, about one mile out from Golden Sands camp, Towyn. 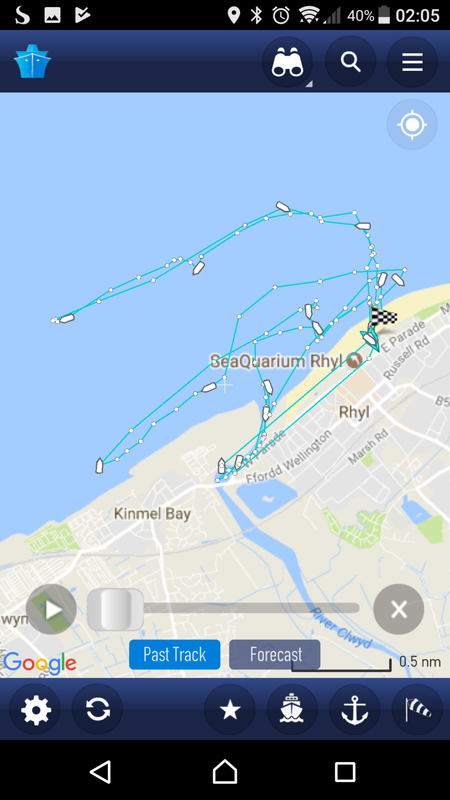 Rhyl RNLI beach lifeguards could not accurately see the vessel from their location, so the ILB was paged and launched to investigate. The weather on scene was about force 3, Westerly winds and a choppy sea. The crew arrived on scene to find a single occupant happily fishing with his boat at anchor. Some safety advice was given, and the crew returned to station at 1245. ………………. 1937. The ILB was paged for the second time today after UK coastguard at Holyhead received numerous 999 calls from the public, regarding a person standing in the water about 50m out from the station, then disappearing from view, The ILB crew assembled, and just as they were about to launch, spotted a woman coming out of the water. She had been swimming but swimming under water, and that is what the public saw and rightly called the coastguards. The ILB crew checked all was well, then returned to station at 1953. Classed as a standby. 31/7/2017. 1418. 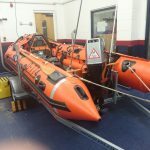 The ILB crew were paged after UK coastguard at Holyhead received 999 calls,regarding a small inflatable dinghy with possibly 3-4 people on board, struggling to get back to shore due to the strong offshore breeze. The ILB launched and was on scene within five minutes, to find it was a small inflatable with an outboard engine with two people on board. The occupants were immediately recognised as the ones the crew had been called to on three previous occasions in the last month, but had chosen not to take the advice of the lifeboat crew on previous calls, and had launched their boat into a moderate sea with an offshore breeze, and were finding it very slow going, trying to return to shore. The lifeboat crew escorted them back to the shore through the surf line, and once back on land, the two occupants were given some strong advice about contacting the UK coastguard before going to sea, and also to carry an effective means of summoning for help, such as a mobile phone or a VHF maritime radio. Once the persons were safe, the lifeboat crew then returned to station by 1518. 29/7/2017. 1352. 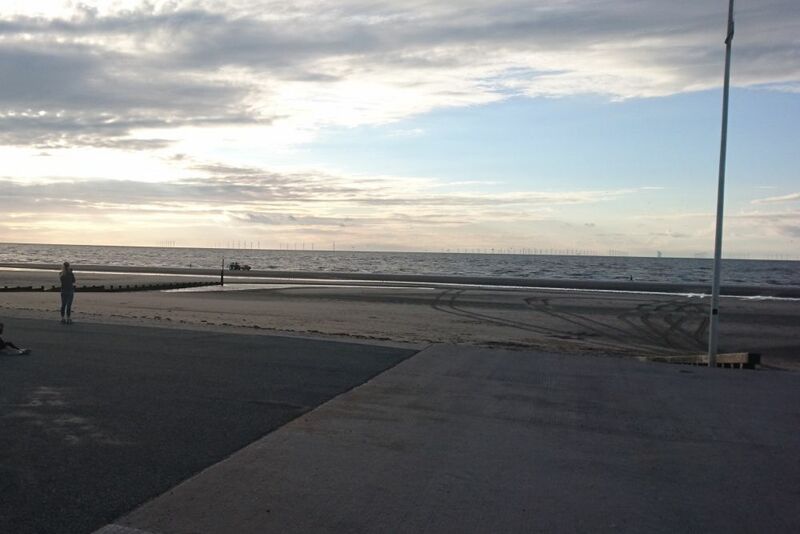 Two young girls were seen clinging to a channel marker post at the entrance to Rhyl harbour. This was reported to the RNLI lifeguards who immediately sped to the scene and swam to the girls, as the inshore lifeboat crew were paged. 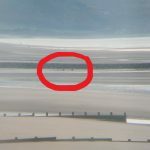 The lifeguards located the children and managed to reassure the two girls, holding on to them and the channel post until the inshore lifeboat arrived. By that time, the girls were up to their waists in the rapidly-rising tide. 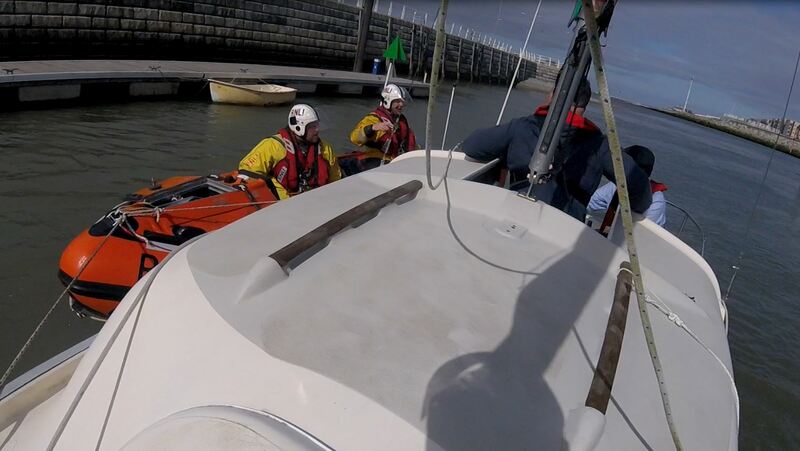 All four were taken on board the inshore lifeboat, and the crew immediately headed back to the lifeboat station at Rhyl. 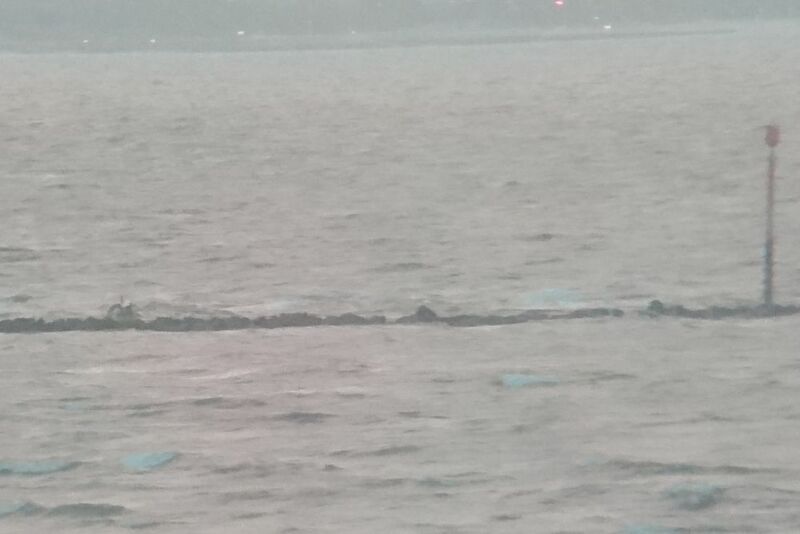 They were kept warm and their condition monitored as local coastguards, police and ambulance crews arrived. 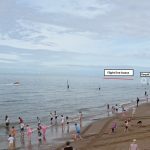 The lifeguards who were first on scene were also treated for minor cuts, occurring when they scrambled on the rocks to get at the girls. After a check up by the ambulance crew, the girls were allowed to go home with their mother, who had arrived at the station just after the lifeboat returned at 1410. 17/7/2017.1855 Inshore lifeboat and coastguards paged to four males in two inflatables, being carried out to sea by the ebb tide from the harbour entrance. Coastguards were on scene first, just as all four had managed to make it back to shore, the lifeboat arriving two minutes later. As all were well and the inflatables were recovered, the lifeboat was stood down. 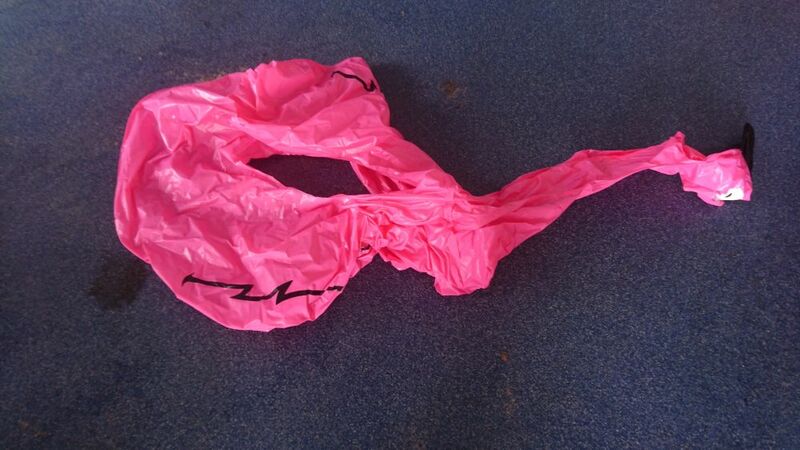 One of the inflatables was found to be partially deflated as the party made it ashore. None were wearing lifejackets. The coastguards gave the party some sea safety advice, and the lifeboat returned to station at 1920. 9/7/2017. 1332. As the crew were getting ready for a photo shoot, a gentleman riding past on a bike told the coxswain that people were swimming out after a life ring at Splash Point. 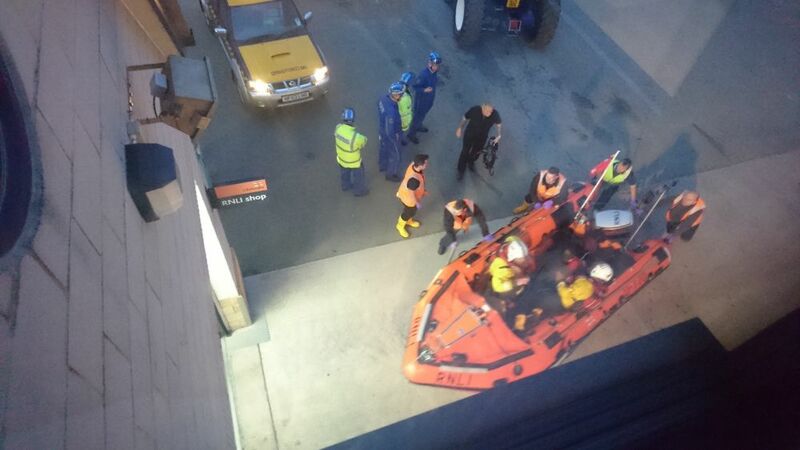 The coxswain alerted Rhyl coastguard mobile and the UK coastguard at Holyhead. The ILB was requested to launch to assist. The coastguard arrived on scene minutes before the ILB, and reported the people were now out of the water. The ILB crew retrieved the life ring and returned to station at 1350. ………………2138. 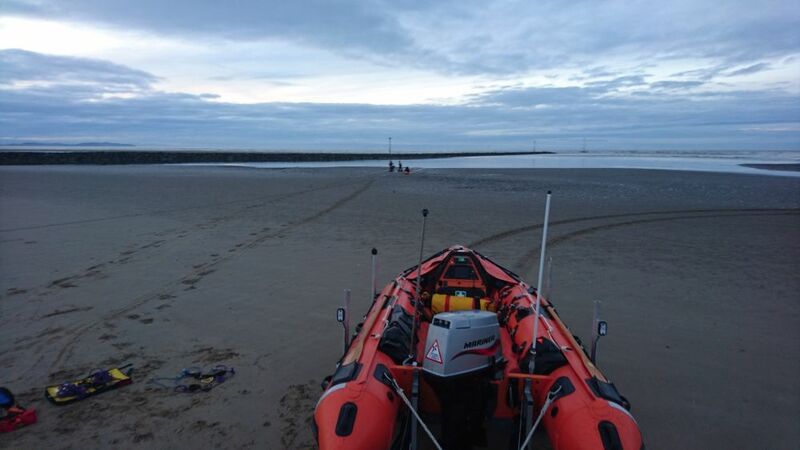 The ILB crew were paged to assist Rhyl coastguards with a report of a distressed person in the water off Lyons camp. 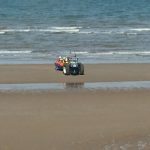 The ILB was about to launch when the coastguards reported the person was out of the water. 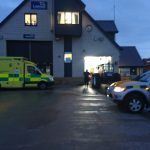 However, as the crew returned to the boathouse, coastguards asked for assistance as the person’s health had deteriorated and casualty care was needed. The ILB launched and went to scene, the crew helping with oxygen and casualty care until the ambulance crew arrived. Once the person was handed over to the ambulance crew, the ILB returned to station by 2250. 8/7/2017. 1519. 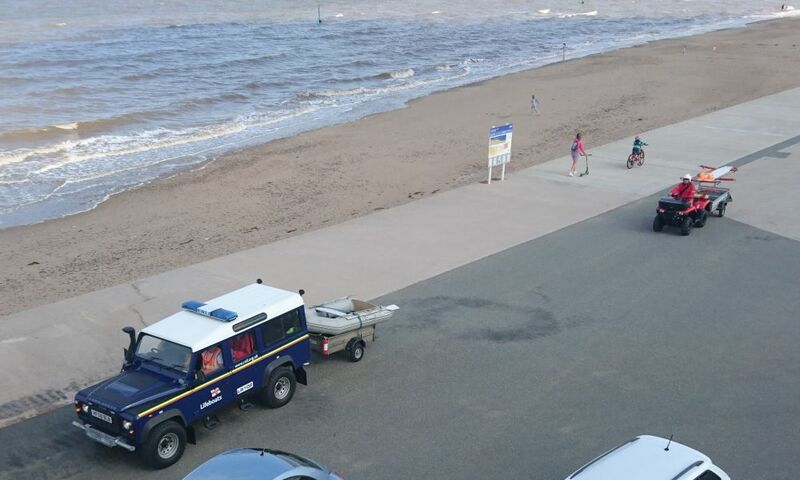 Numerous people had reported to Rhyl RNLI lifeguards, regarding a small dinghy with two occupants off Kinmel Bay, possibly waving. The ILB crew were paged and the ILB launched within 6 minutes. On approaching the dinghy, the crew could see that the boat was no longer than two metres, and had a small two horsepower outboard engine. The occupants were fishing happily. 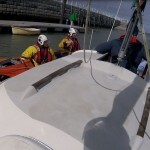 The ILB helm gave them some safety advice, and advised them that they should return to shore. 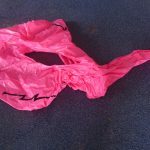 On pulling up the anchor, the ILB crew were surprised to find it consisted of a rock in a bag. The two occupants (who were wearing lifejackets) then headed back to shore, but ran out of fuel. 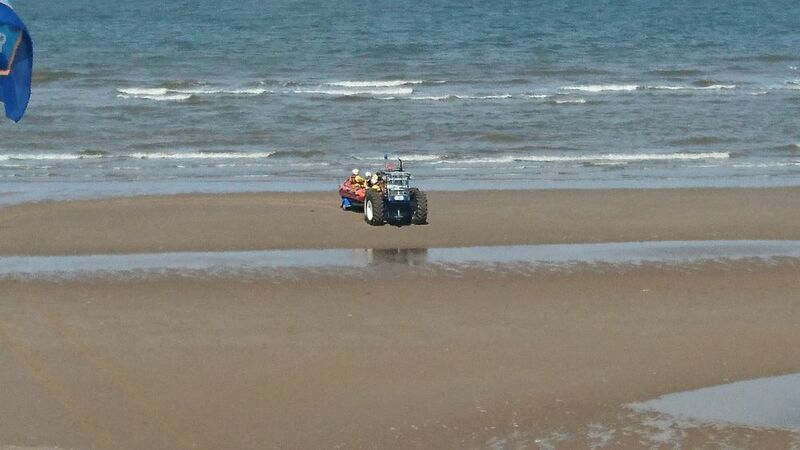 They had spare fuel, so topped up and went back to the beach, escorted by the ILB. Once safely ashore, they were given more safety advice and the ILB returned to shore at 1555. 19/6/2017.1741. 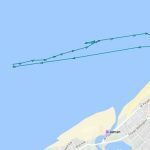 The UK coastguard at Holyhead had received numerous 999 calls from members of the public who had seen a young girl apparently in difficulties in the sea off Rhyl. The crew launched within seven minutes of the pagers alerting them, and were on scene some four minutes later. They found a party of young people on the shore line. One of the party had said she was performing handstands in the sea, and also was waving. She said she was OK, and not in any danger. The crew then returned to station at 1805 after handing out some sea safety advice about waving when at sea, their assistance not being required. False alarm, good intent. 1/6/2017.1546. 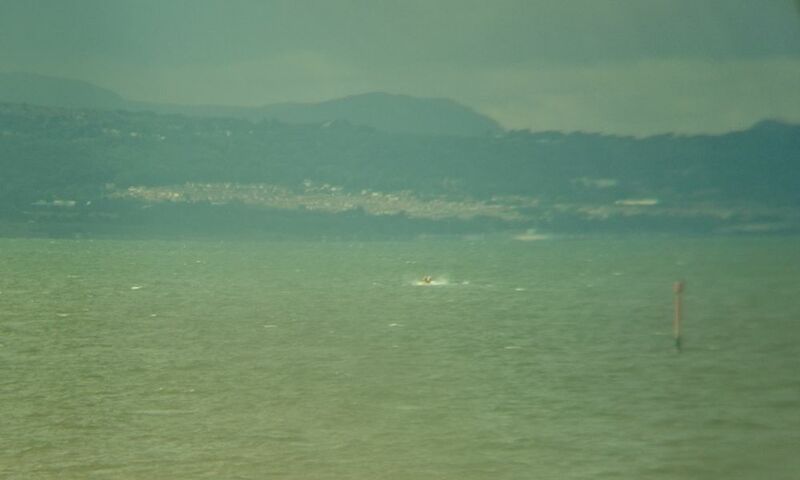 ILB crew paged after two males were seen to come off a PWC (Powered Water Craft – Jetski) off Pensarn, Abergele. The men were wading ashore but the craft was being taken out to sea. The ILB launched and went to the PWC, then to the two men who were waving at the water’s edge. 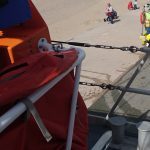 One man was taken on board the ILB and returned to the Jetski where he was able to re-start the machine and return to shore , to await the vehicle and trailer to recover them. As all was now well, the ILB returned to station by 1655. 31/5/2017. 1526. 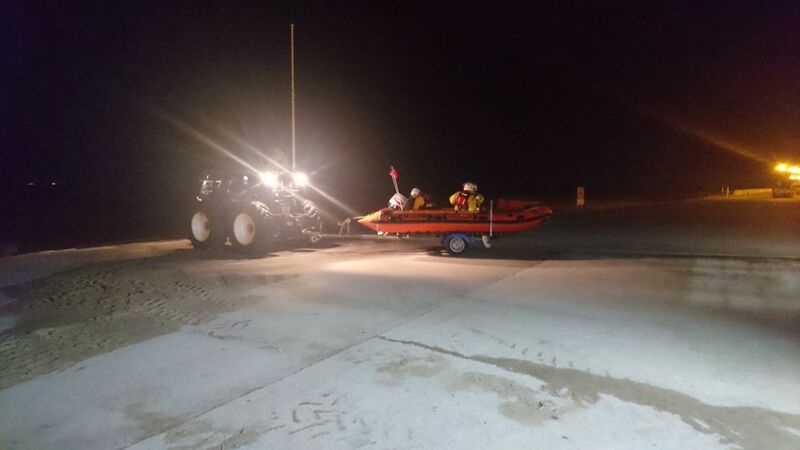 The ILB crew were paged after a member of the public called 999 and expressed concern for a green inflatable boat with two people on board apparently drifting out to sea off Golden sands Camp, Towyn. The ILB launched, and located an inflatable kayak off the camp, with two persons fishing from it. A quick safety check was carried out, and the occupants said they were OK and would return to shore later. As all was well, the ILB returned to station at 1602. 26/5/2017.1224. 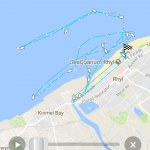 The ILB crew were alerted by the UK coastguard at Holyhead after two people on a sports leisure boat about 1.5 miles off Rhyl, reported by mobile phone that they could not start their engine. There was a crew at the boathouse and so the ILB was launched within 4 minutes and on scene some 10 minutes later. The craft was taken in tow and returned to Rhyl harbour, then returned to the boathouse at 1400. 8/5/2017. 1230. The crew were paged directly by UK coastguard at Holyhead after they received a report that a person had fallen in the water in Rhyl harbour. 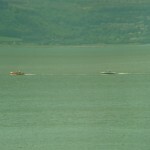 As it was low water, the ILB was taken by road to the launch site in the harbour. In the meantime, the coastguard had been advised by North Wales police that the incident was actually in the Marine Lake, but the incident had now been resolved. The ILB was therefore stood down and returned to station at 12.45. 15/4/2017. 1507.The crew of a local private fishing boat reported to Rhyl harbourmaster that a small sailing boat had suffered engine failure in the outer harbour, so this was reported to Holyhead Coastguard. The fishing boat crew managed to get the boat and it’s two occupants to the centre pontoon as the ILB was launching. 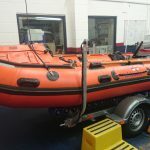 This is not accessible from the land and so when the ILB arrived, they took the two on board and transferred the craft to the harbour wall pontoon, where they were left with the harbourmaster, able to be recovered to shore. The ILB then returned to station at 1608. 29/3/2017.2308. ILB requested to launch to search for a female in the harbour area after Holyhead Coastguard received a request from North Wales Police. As the crew were proceeding by road, the police reported the person was now safe and they could be stood down. Returned to station at 2323. 8/3/2017.1304. The local coastguard team were alerted by UK Coastguard at Holyhead, that they had received a 999 call about a male entering the water off Splash Point, Rhyl. 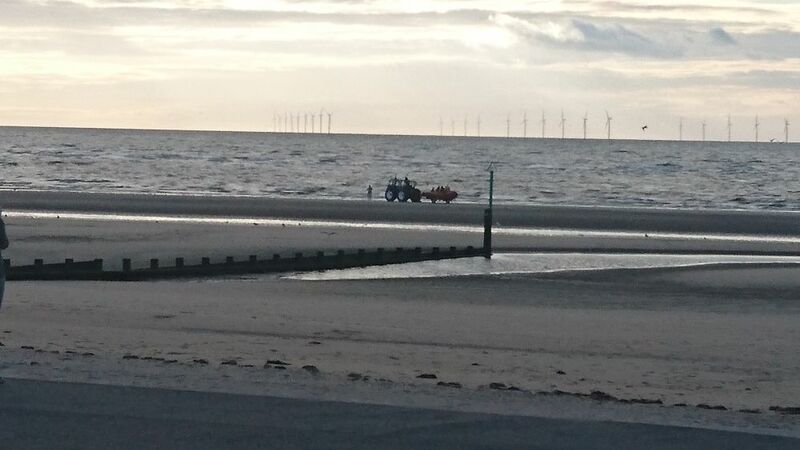 The ILB crew were paged and were just about to leave the station when Rhyl coastguard reported the male was a kite surfer who had become displaced from his board and was re-entering the sea to try and find it. As all was well, the ILB was stood down before launching. 18/1/2017. 0925 The ILB was launched to reports of a person entering the water off the Nova centre, Prestatyn. 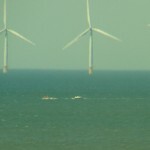 Whilst en route, North Wales Police confirmed that the person was in fact a fisherman wading through the water. The ILB was stood down by Holyhead Coastguard. 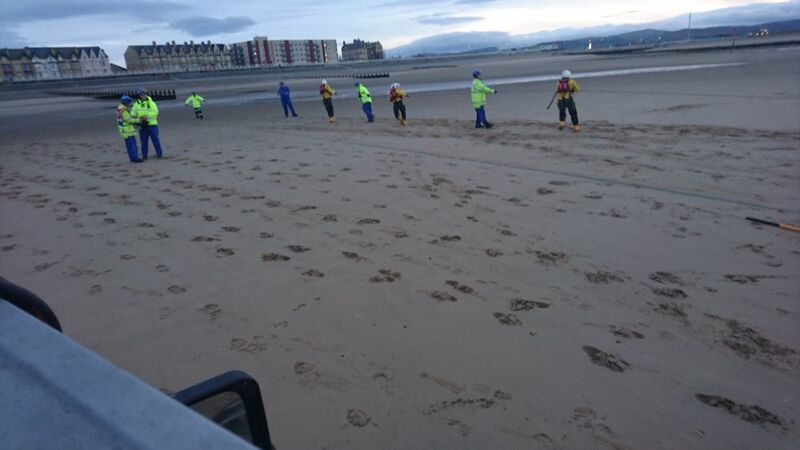 Rhyl Coastguard rescue team were also paged. Classed as a false alarm with good intent. The ILB returned to station by 0945. 10/1/2017. 1230 The ILB crew were alerted to a kite surfer seen in difficulty off the Pavilion Theatre, about 250m East of the station. Another kite surfer was also in the vicinity. The ILB and crew proceeded along the beach to near the person, and found that both the kite surfers had self-recovered and all was well. The ILB returned to station at 1245. Classed as a standby.